The shortlist of N.E. Mation! PEOPLE! The post I wrote the other day about wanting to be N.E.mation’s ambassador? HO HO HO HO! I am in it! …As you can tell from the title of this post. One of the 10 finalists to be the ambassador of N.E.mation 6! Continue reading The shortlist of N.E. Mation! Posted on August 24, 2011 Categories CompetitionsTags nemationLeave a comment on The shortlist of N.E. Mation! Hey everyone! Remember the last time I went to check students out doing their works for the N.E. mation contest? Help needed from you readers! Hello everyone! I have joined the Ubud Flash fiction contest! It ends 24 September! Click that! And give me a thumbs up! Only one person per click! If you’re on the same internet as your friend/family or something and they have voted, then you can’t click. SO PLEASE DO IT AT SOME OTHER LOCATION, AARGH. That is all. Help spread the message! Posted on August 31, 2010 August 31, 2010 Categories Competitions, The LiteraryTags competition, writing1 Comment on Help needed from you readers! Yes, my fellow fictioneers. Scholastic is giving out an Asian book award! However, here are the short details! a. An official entry form, duly filled in. b. Six copies of the manuscript (in case of a paper submission). c. A recent photograph in soft copy on CD. the biography of both the author and the translator must be submitted. – Winner gets $10,000 and a plaque! The manuscript might also be considered for publication by Scholastic Asia! – First and second runner ups get a plaque and advice by Scholastic Asia on editing it for publication! Anyway, it says you can send the submission via email but that is slightly redundant or risky considering it might get “lost” in emails since you still have to send physical copies of your photo and bio on a CD. Plus, you still have to send in the entry form too anywho. The address is available on the website. Continue reading Scholastic Asian Book Award! Posted on May 12, 2010 August 11, 2010 Categories Competitions, The LiteraryTags competition, writing1 Comment on Scholastic Asian Book Award! 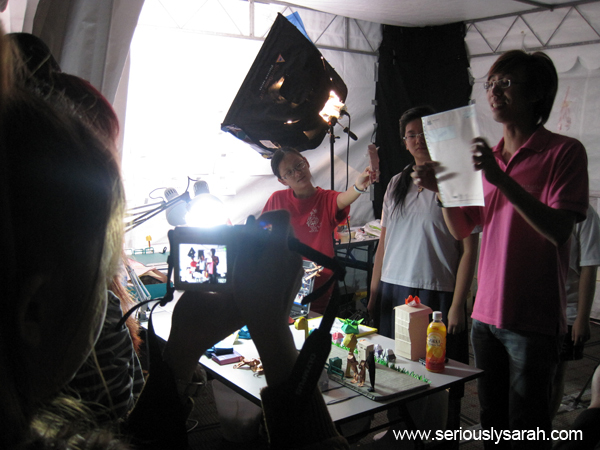 A literature prize, Script Frenzy and 48 hours competition! 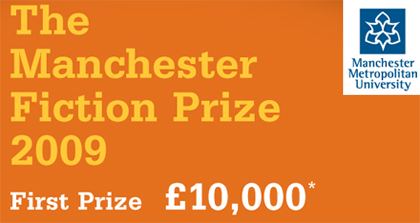 Continue reading A literature prize, Script Frenzy and 48 hours competition! Posted on April 6, 2010 April 6, 2010 Categories Competitions, The LiteraryTags competition, script frenzy, The Literary2 Comments on A literature prize, Script Frenzy and 48 hours competition! A vote for me is a vote for FUN fiction! Here’s the sitch. I need your help in voting for me before the deadline of the 24th March. Let me do the important details first. To vote, you need to register. Yes, I hate when you need to register to vote especially when the form is lengthy. Yes, it’s lengthy and you don’t have to put your real phone number there cause why should they need it?! but please register so you can vote for me. The second step is to find me. The website is HORRIBLY user unfriendly, PLEASE, please get through this though and find me at http://www.360withoutborders.com/NMAQuest/contestants.aspx . Some other contestants that I read who are asking votes from their friends have also stated this so yes, please get through. At the moment of this POST, I’m around page 4 however depending on how many votes I have, I’d move up and be on a different page! Ideally I should be on page 3 or less because there’s 15 top audience votes and 10 judge picks for a finalist of 25 people. 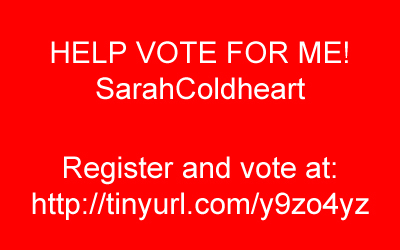 Vote for Sarah Coldheart! You’ll see my icon with the pink hair and horns from the last Nanowrimo Kick Off party. It should be obvious. If the website is erroring on you, PLEASE try again later at least before the last day of the 24th. I can’t find the “contact” page to inform them if the website is broken so please be patient with this. WHY do I want you to vote? I’m putting it upfront, a copy paste of the prizes for me if you will. AND a private Golden Village movie screening that each winner can enjoy with 20 friends! There you go but I don’t want to be an ambassador because of the prizes here. I want to be an ambassador because of YOU. Or rather the building. EVEN if I don’t win overall ambassador, I want to be top 25 so the people there will remember me, WHY? Because of YOU GUYS or rather for some of you, because of NANOWRIMO and fiction writing. It’s no secret that we operate on no funds or donations or whatever since Nanowrimo is a volunteer thing. We, the municipal liaisons would save money or if we are able to, we can try for grants from the NAC but now is a matter of SPACE. We need a space to hold our writing sessions and you guys are all ages thus we want something family friendly! NOTE THE NEW SCAPE BUILDING!! ARE YOU GETTING THE HINT? Being an ambassador will not be TRA LA LA fun with the prizes, no. There will be duties and such to do too, you know how I can work this thing out. RESULTS will be on the 27th March so that isn’t too long of a wait too. SO PLEASE, help vote! Continue reading A vote for me is a vote for FUN fiction! Posted on March 19, 2010 March 20, 2010 Categories CompetitionsLeave a comment on A vote for me is a vote for FUN fiction! No, I’m not holding one. I’ve got two here that’s FREE to enter, deadline is in January/February and email submissions are allowed. Click to read more of the details of these two. Continue reading Contest and Submissions! Posted on December 8, 2009 December 8, 2009 Categories CompetitionsTags competition, writingLeave a comment on Contest and Submissions! Just so you know, I’m doing Nanowrimo this year and it’s chic-lit. The starting is rubbish and I mean it’s worse than my usual silly ones because I haven’t gotten into the groove of being silly or not taking this thing seriously. I write best when I just write but at the moment, it’s not writing that much since I’m being serious so baaah. Oh yeah, I installed a new plug in on WordPress and considering that I’m on my eeePC, I don’t have Photoshop on it so I just edited these screens on Paint. Click on the pictures to view it in its original size! Click the thumbnail! This is my entry for Nuffnang-Nokia contest! 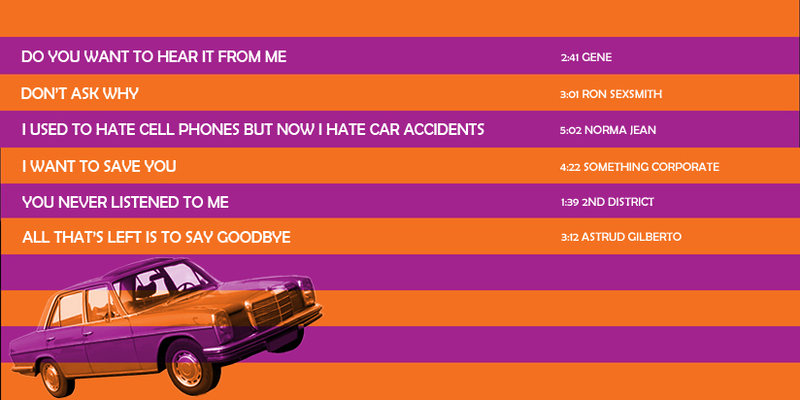 Basically it says to make a story out of the songs available in the Singapore Nokia Music Store! Okay, so my story’s a bit morbid but it’s actually fun trying to write something with song lyrics. Somehow I guessed a lot of people will make some story about music but then it hit me really, what if you had a song list track as if trying to give a hint what was happening and the only way to express yourself was in code or lyrics? Duh, duh, DUH. Thus, read my “story”. Shake Up With Nokia Comes With Music!